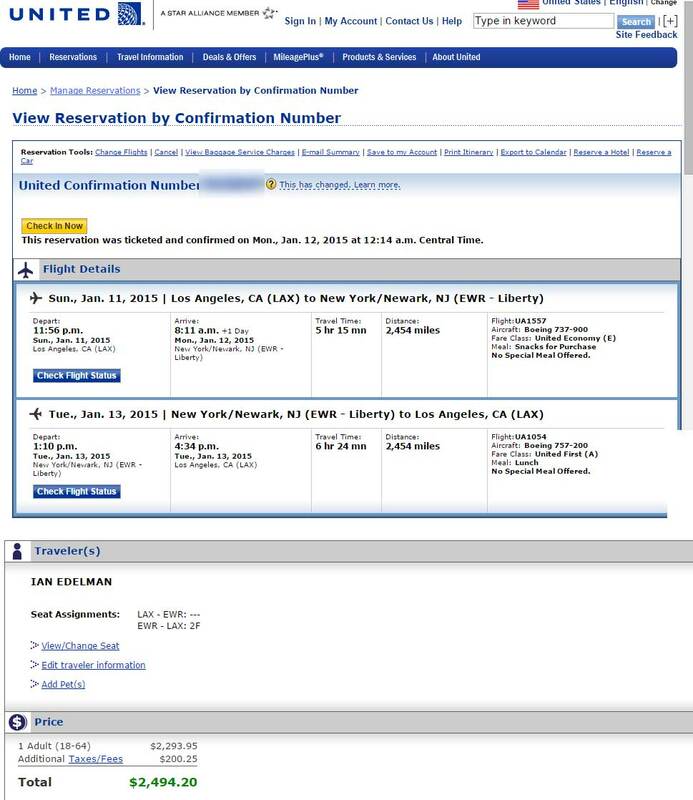 An email appeared in my inbox a few days ago from Frank Ochoa from Sony Pictures Travel Service. At first I thought this must be a phishing email. Normally I would delete this sort of spam immediately, however this had my name on in it and looked real… no spelling or grammatical errors. I checked the Tripcase link which appeared completely genuine. I was on my iPad, so less prone to malware, and if something did go wrong I would just restore the software from a backup removing any problem. I clicked! This loaded a pdf which informed me about flight bookings and a hotel reservation in my name. I was apparently flying from Los Angeles to New York. I opened the United Airlines website, typed the flight locator code and my name. Sure enough I was booked on an ecomomy flight out of LA and returning first class two days later. I know there is a writer with my name, responsible for the HBO series, ‘How to Make it in America‘. I realised the ticket was for him. 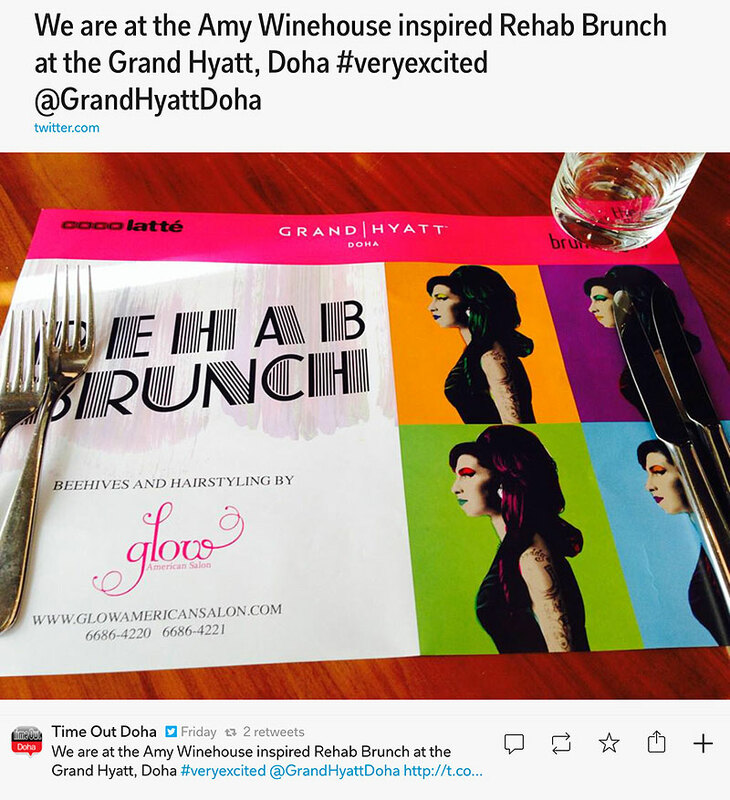 The Grand Hyatt in Doha held a ‘Rehab’ brunch this weekend… inspired, it says, by the Amy Winehouse. I am the fan of the late singer, however the whole concept seems to be totally misjudged as a theme for a brunch anywhere, let alone Qatar where alcohol is tolerated and drug-use is not acceptable. 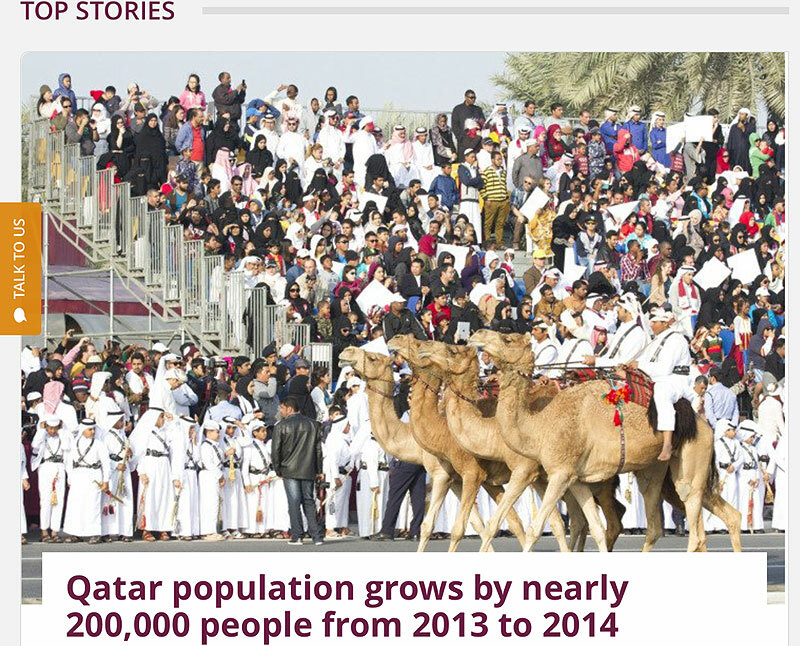 Actually not Wally, but me in a photo published by Doha News. We are spending a short break out of Doha in Kerala. We flew Qatar Airways. As a silver card holder, that gave us access to the quiet Al Maha lounge at the airport with free food and drink. The downside of the lounge is that it has a transparent ceiling. Directly above is one of the huge advertising screens which endlessly reflected and flashed glowing colours down into the lounge. I needed to fly anywhere with Qatar Airways before 31 December to keep my frequent flyer status, so the flight to Trivandrum was all I needed to keep my silver card and be able test my susceptibility to photosensitive seizures. At boarding time we headed to the gate as economy passengers, but boarded the plane upgraded to Business class. A really nice way to start the New Year holiday.